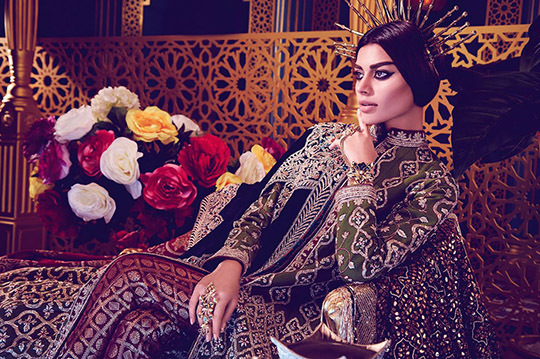 Designer Debut: Diva’ni hits Pakistan with a bang! Tired of the sameness? 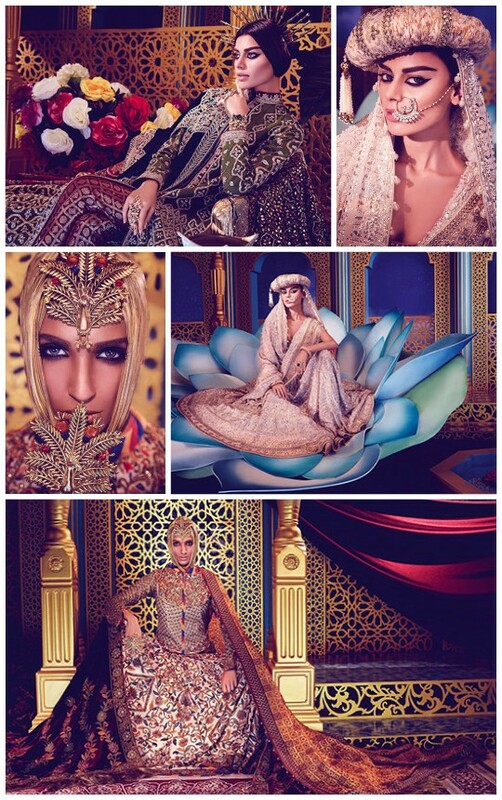 We are completely bowled over by the debut of Diva’ni- a culturally inspired luxury bridal and pret wear! 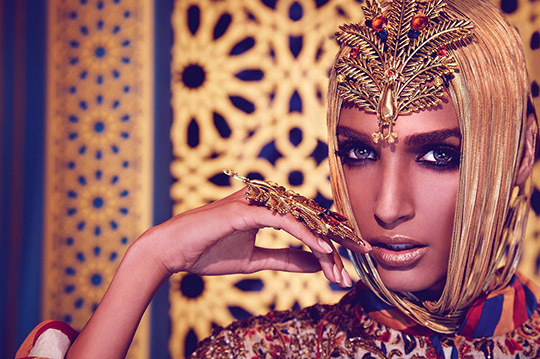 Whilst fusing elements from different cultures and eras seems to be all the rage this season, Diva’ni’s collection ‘A Queens ransom’ promises to fit you out in clothes that will transport you back in time, bang in the middle of the fifteenth century. 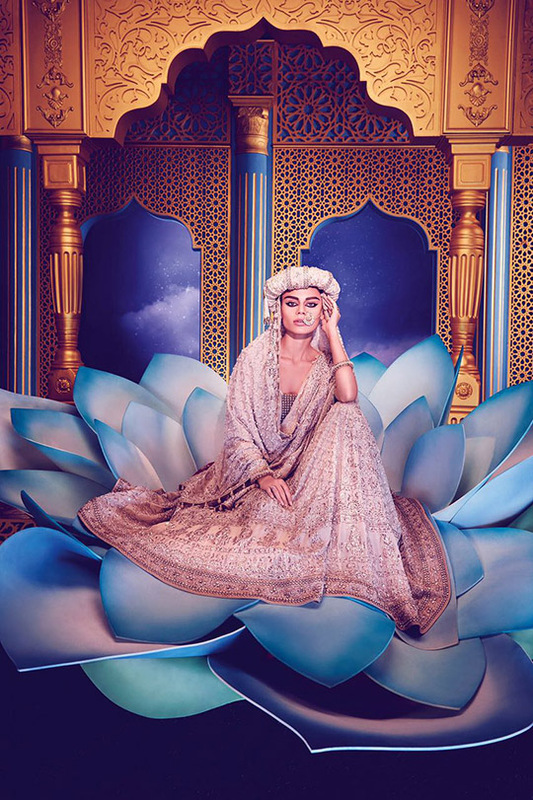 Bringing together an almost extinct race of zardozikars, Heirloom weavers and hand paint women artisans from across India, the label has created an extremely precious and unique range of Mughal inspired lenghas, ghararas capes and angharkas. Each piece embodies imperial majesty in its own right; Royal Blues, reds, greens and mustards in sumptuous silks, cottons and georgettes are hand worked to perfection from nape to hem – heavy on majestic patterns and symbolism. 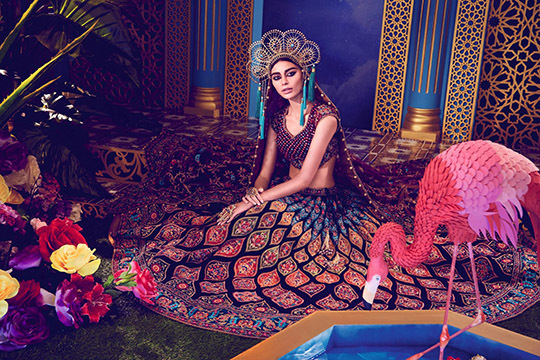 The campaign is a complete knock out- exotic flamingos that would have once dotted the imperial gardens, sprawling lotus flowers which signified the eternal circle of life found infused in Mughal era architecture and resplendent stallions form magnificent back drops. The effect is surreal and instantly magnetic, drawing the eye deep into the folds and undulations of the generously ornamented, opulent ensembles. Diva’ni’s labour of love is a hallmark of the finest artisanship across the border that is easy to appreciate – at best a rich tribute to a royal cultural heritage mutually shared. So ladies, why not set aside those risky trend scoops and cascade around in one of these hauntingly beautiful queenly drapes? STYLE NOTES: CELEBRITIES LOVE KIRAN FINE JEWELRY! 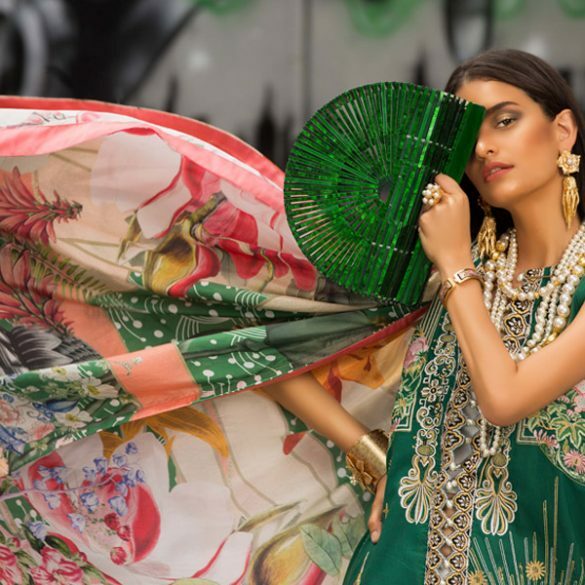 Exhibition Hit List: Ensemble Karachi Independence Day pop up 12th-14th of August! Designer Debut: Cut Like a Dream; MAHVASH ‘Cut Out for Love’ Handbags! 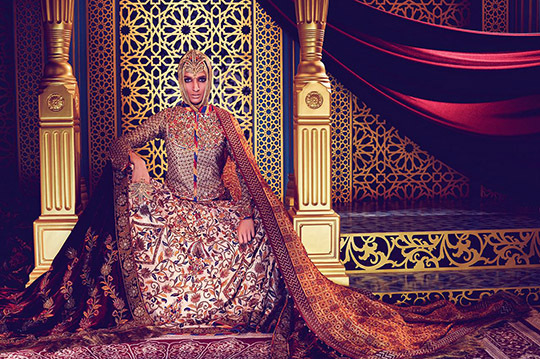 Designer Debut: Anaya by Kiran Chaudhry’s Fabulous Eid Collection! 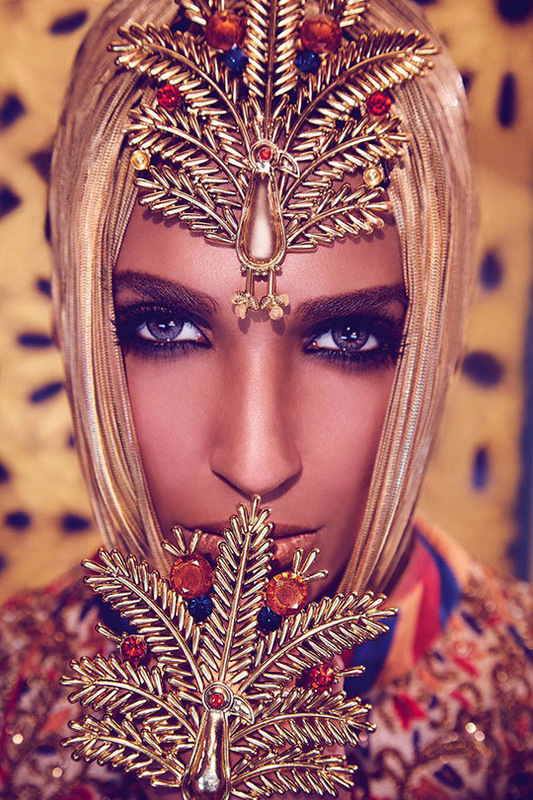 Designer Debut: Esfir’s edgy and elegant costume jewellery!